If you have been in a serious car accident and have suffered personal injuries, then you are well aware of the devastating effects it can have on your entire life. Stress, financial loss, and constant issues with the chronic pain caused by your accident can leave you feeling hopeless. We understand what you are going through, and we are here to help. Chiropractic care has helped millions recover quickly from their personal injuries and can also help relieve your stress by keeping your body aligned while you heal. Using a mix of chiropractic adjustments and lifestyle advice, we will help you recover from your injuries and get back to your normal self. 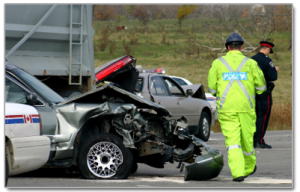 Even if you have been in a minor auto accident, you could be injured worse than it may seem. When certain types of injuries go untreated, serious misalignment can happen over time. Call, come in, or fill out our online form for a consultation and learn more about how Chiropractic care can help you with your injuries and prevent future problems.